Etre Cosmetic Dermatology & Laser Center is a state-of-the-art facility providing patients with the most advanced and effective skin treatments. Our dermatologists, Kyle Coleman M.D. and Lisa Donofrio M.D. are board certified by the American Board of Dermatology. With their years of experience and local roots and medical training including residency, Drs. Coleman and Donofrio are the experts in the South. At Etre, we believe our patients are entitled to their desired appearance. Our long line of services paired with our expertise consistently deliver noticeable results so our patients can feel elegant, confident, and beautiful! Search conditions treated at Etre and what services we recommend for treatment. Located on St. Charles Avenue in the Lower Garden District, Etre Cosmetic Dermatology & Laser Center caters to the aesthetic needs and desires of women and men. Patients can find safe, gated, and complimentary off street parking on Erato across from Emeril’s Delmonico. Etre Cosmetic Dermatology & Laser Center is built around a talented and expert staff that is devoted to providing top of the line, individualized treatments to our patients. We provide a variety of treatments in order to ensure each and every need can be met in our safe, convenient, and welcoming environment. Kyle Coleman, MD is a board-certified dermatologist and one of the rising stars in the field. Dr. Coleman received his degree in Biology from Southern Methodist University before receiving his doctorate at nearby Tulane University in New Orleans. While studying at Tulane, Dr. Coleman began to develop a vested interest in Dermatology, shaping the way for him to team up with Dr. Donofrio at Etre Cosmetic Dermatology & Laser Center. 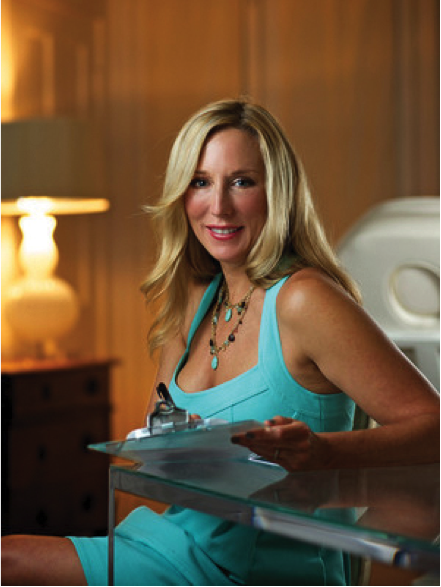 Lisa Donofrio, MD is an internationally renowned Cosmetic Surgeon and board-certified Dermatologist, practicing advanced techniques in liposuction, dermal fillers, and fat grafting. Dr. Donofrio is a frequent speaker and lecturer at various conferences, and additionally shares her knowledge with other members of her field through her work as an Associate Clinical Professor in the Department of Dermatology at Yale University School of Medicine. How Many CoolSculpting Treatments Will You Need Before Summer?